for monroe's third birthday party, she requested a frozen-themed soiree at the trampoline park! 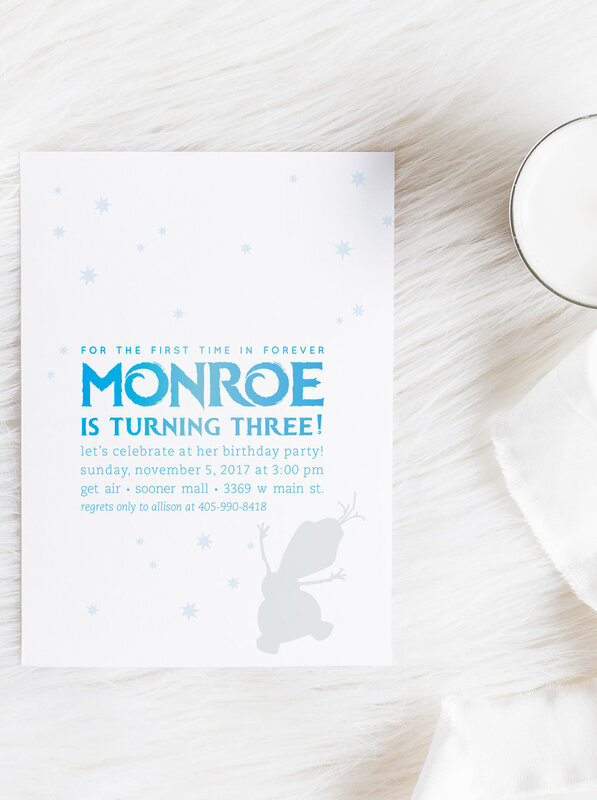 the invitations featured a subtle illustration of olaf, the snowman, and monroe's name in the frozen font! happy birthday to the sweet girl!